It has been a busy time on the table and I’m excited about the rest of the season. I got a call out of the blue on a Tuesday night in January, giving me the chance to play in the Championship League the next day. I wasn’t expecting it but Neil Robertson pulled out at short notice so I jumped at the chance. And I took advantage by winning my group, and then getting to the semi-finals of the winners’ group. I finished top of the group and played really well, but then ended up losing to Stuart Bingham in the semis. I really felt that I could win it, but I just didn’t take enough of my chances against Stuart. I ended up winning nearly £14,000 which was a huge bonus considering I had never played in the event before. My biggest pay-cheque for a single event before was only £12,000. It’s a tournament I had been to quite a few times over the years to watch the likes of Judd Trump and Neil, so to play in it was fantastic. It was really good match practice which helps me for the rest of the season. After the final group it was straight up to Barnsley for the China Open and Indian Open qualifiers. I didn’t play great but I beat Igor Figueiredo 4-0 to qualify for India and John Astley 5-0 to make it to China. In both matches I won a key first frame. The opening frame is so important when you are playing someone ranked below you, because if you win it you feel you can push on and dominate. You always have to respect your opponent, but at the moment I am in the mood where I want to bury players. Look at the likes of Trump, Robertson and O’Sullivan – when they win tournaments they tend to breeze through the first few matches. They consistently demolish opponents, and it takes nothing out of them. Neil said to me years ago that to win a tournament you have to win those matches easily and be in and out of the arena quickly, so you can save your energy for the harder matches later on. Earlier this month we went to Berlin for the German Masters. It was the first time I had been to the Tempodrom and it is a brilliant venue. The conditions were magnificent. Bingham beat me again – 5-3 – in one of the best matches I’ve played this season. I had a century, an 80 and a 70, and Stuart also had a few big breaks. It was a bit of a shock to lose because I always believe that if I play well I’ll beat anyone. It doesn’t happen often that you play that well and lose. I couldn’t speak for about an hour afterwards, I was devastated. I had felt I could go on a run so I was gutted that my time there was cut short. It would have been nice to see a bit of Berlin but instead I flew straight back to the UK and got back on the practice table, because I’m really devoting myself to it this season. I want to be as good as I can at snooker – there will be plenty of time later in my life to see different places. Then last week it was the Welsh Open in Cardiff. I played Ian Burns in the first round, who I rate as a tough opponent. I won 4-1 and pretty much stuffed him. The first frame was very long, and after that I decided I wasn’t going to play at his pace and keep it tight, I wanted to get the balls open and take my chances. Then I played Xiao Guodong who is 19th in the world and I absolutely buried him 4-1. I’m just in a confident mood which is really nice because a year ago I didn’t even want to play snooker. In the third round I played Ali Carter and came from 3-1 down to 3-3, but then he played a good decider and beat me 4-3. I was disappointed but at the moment it feels like only the top 16 players are beating me. At the start of this season my only goal was to make ten centuries. Stephen Hendry had given me a few things to work on to improve my break-building so I just wanted to work hard on that and see if it would make a difference. I’m already on 20 tons now and there are still six or seven tournaments to go so it’s obviously working. This weekend it’s Poland for the Gdynia Open, then next week it’s Blackpool for the Shoot-Out, where I’ve got Judd in the first round which will be fun. 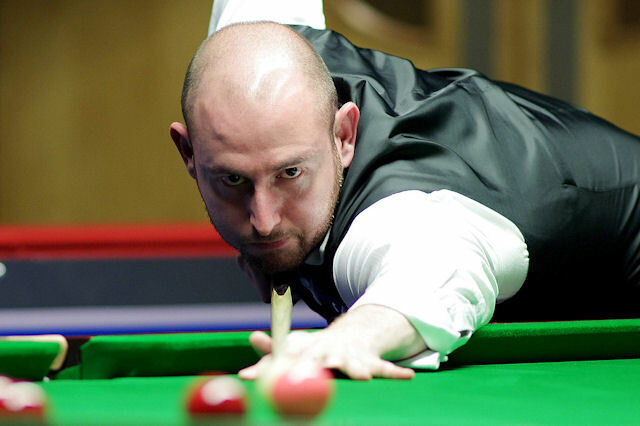 The tournaments come thick and fast for the next few weeks, which is a great thing for snooker. I’m looking forward to going to India for the first time although there have been some issues for players getting visas so I hope that gets resolved. One of my goals at the moment is to get into the top 32 in time for the World Championship qualifiers because it would mean I couldn’t meet another top 32 player in the final round – if I get that far. I’m pretty close to getting into that bracket at the moment so I have to just keep winning matches. If I get there it will show a lot of progression because I started the season 58th. But my main focus is just on my next match, and so far this year I’ve been pretty good at just concentrating on one event at a time and moving in the right direction.